When I recently discovered this brand, my jaw dropped at just how incredible and glamorous their designs are. Admittedly, there's currently only one size left in stock of this Electra Textured Boot style, but all of Collection & Co's creations are seriously divine, so it's worth heading to their site anyway to see the rest of their stuff. This label was recently founded in 2016 by Felesha Papa, and it highly prioritises sustainability with its use of recycled and non-animal materials. Its shoes are made ethically in small factories in Greece and Portugal. Beyond Skin have been making fun and chic vegan designs since 2001, and I always adore checking out their eccentric designs. 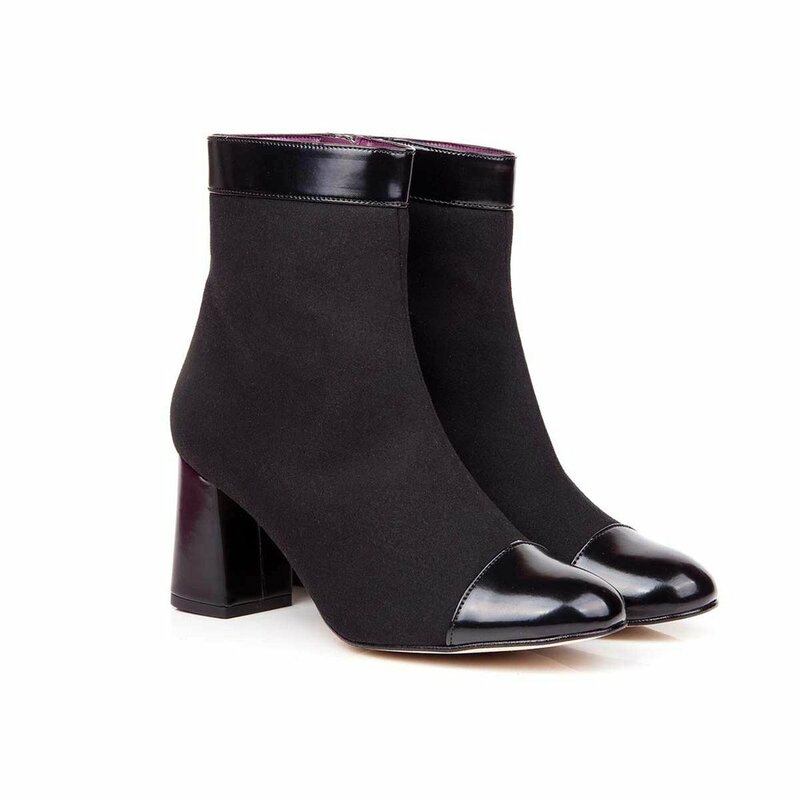 These Victoria Black block heel ankle boots are handmade ethically in Spain, with a 100% recycled faux leather lining. These bold Occhio di Tigre boots ('Tiger Eye' in English) come from Italian brand Dá Quý, which is actually Vietnamese for 'precious stones'. They are made ethically in Tuscan factories, and incorporate biodegradable materials. A lot of their website happens to be in Italian, and I don't fully understand everything that's going on, but hey, their shoes are super fun! This style here comes in several different colours, including the Jacquard Gold and Velvet Burgandy I've featured above. I have a little obsession with this New York based vegan shoe brand. Somehow I still don’t own any of their shoes, which is something I definitely need to change! 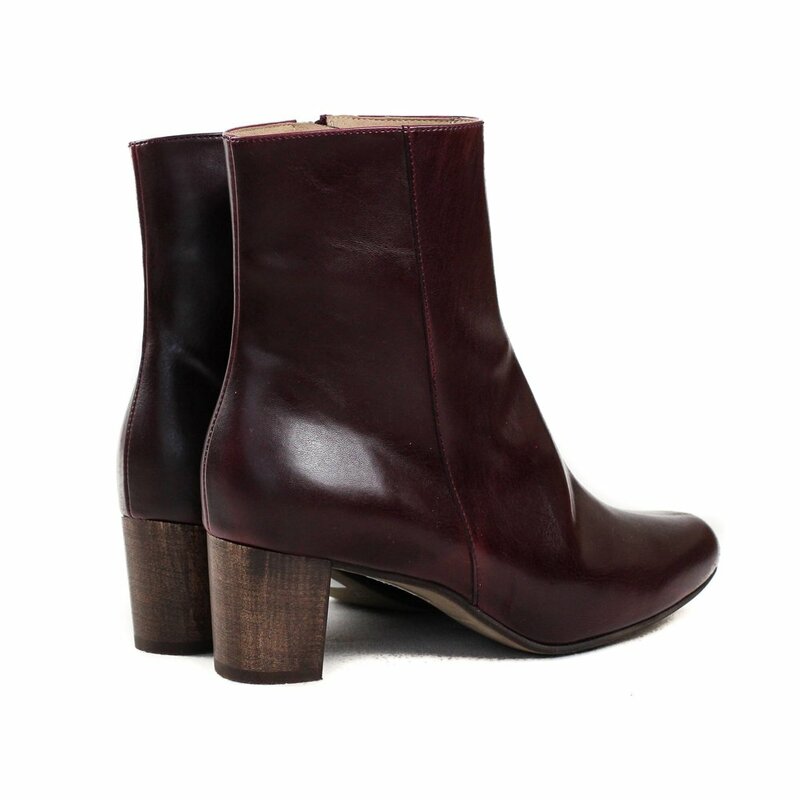 Bhava Studio's Editor Boot has an incredibly clever versatile design, as it can be fitted with a detachable tall boot upper, allowing it to be worn either as an ankle, knee-high or over-the-knee boot. Ingenious! Their beautiful quality (so I've been told by my American friends) shoes are handmade by artisans in Alicante Spain, and have solid wood heels, natural cork insoles and soft eco-suede lining. Want to get to know more vegan shoes brands? Check out our Ethical + Vegan Fashion Brand Guide. What are your favourite vegan footwear labels? Let us know in the comments below!